Casumo Casino is not a typical casino brand. The aim of this casino is to erase the boredom and bring smiles on people’s face. It is one of the most popular online casinos which deliver a wonderful experience to the players. Perhaps it is not one of the oldest casinos but one must say that it is one of the best South African casinos which won the mobile operator Award in 2017 and the annual EGR Nordics Award in different years. 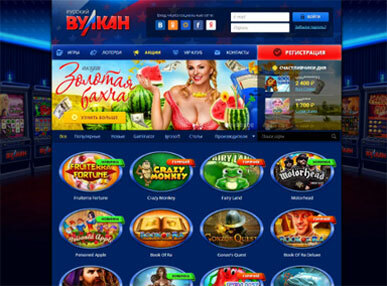 The casino is available in several leading languages like English, German, Finnish, Swedish, Norwegian, etc. Casumo Casino is completely secured side as it has a dual license - one from Malta Gambling Association and another from UK Gambling Commission. Because of the strict license restriction policy at the Casino cannot accept players from some countries like USA, Australia, Italy, France, etc. This casino is designed in such a way that it is more accessible to new generations of online players. Casumo casino has a simple set up and simple category. They use an easy title and well display of the game on a large window with a side-bar overlay. There is also space to display player’s achievement and the progress of the slot. For this reason, it has become very user-friendly. The game sessions at Casumo Casino will definitely bring sheer pleasure. The players not only can get overwhelming profit, he or she can enjoy a real adventure. Playing in this casino gives you the chance to collect valuable trophies and gain levels that help you to win bigger awards by playing different slots. After doing the registration the process which takes less than a minute, you are given access to a wonderful collection of games powered by popular game providers like Play’N’Go, Microgaming, Greentube, Thunderkick, Quickspin, Scientific Games. The casino is available in flash version. To play these games you do not have to download specific software, just go to your site on your computer and mobile and start play. Players can avail promo codes and free chips. Casumo Casino has a live gaming section. NetEnt and Evolution, two stalwarts to produce live gaming experience provide games for this site. The live rooms, with very smooth streaming video, run beautifully. The site host roulette, blackjack, baccarat and poker games. Casino Casumo offers their fans 20 No Deposit Free Spins in Netent’s Starburst. The welcome bonus is simple. You get 20 free spins when you sign up the game provided you come from the selected countries. If you do not come from those countries, you will get an only welcome bonus and no free spin. Casumo does not provide phone support. To help their customer, it offers simple live chat service. The side panel of the site is dedicated for a live chat. Live chat team is very friendly and prompt in helping. Depositing and withdrawing money is easy with multiple options. This Casino accepts Visa and MasterCard credit and debit cards and different E-wallets like Neteller, Skrill, PaySafeCard and Boku mobile payments. This casino charges a small amount of banking fee but in return, you get quick withdrawal facility. The pros of this casino are that when you sign up or login for this site you get action, plenty of adventures, excellent casino games, safe transactions along with plenty of free spins and bonuses. The con is that the game search could be faster.